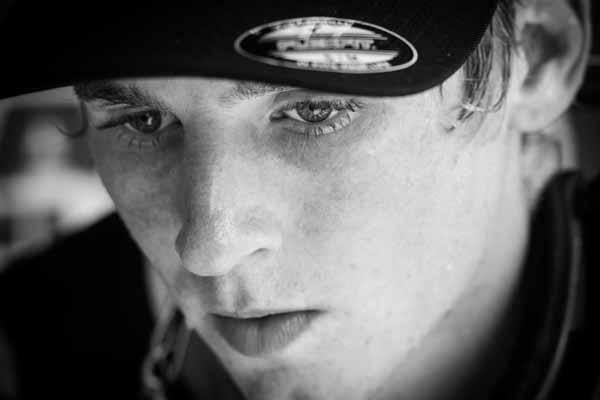 Whether you’re a spectator or one of his fellow competitors, Justin Barcia has always been a rider to keep an eye on. This is especially true at Unadilla in New Berlin, New York. Barcia is from New York, he’s a big fan of Unadilla and he’s always done well there. He took second in 2010, and finished third overall in the 450 Class last year. After dropping a few points to points leader Blake Baggett at Southwick, it’s a safe bet that Barcia will show up with a bit of extra juice in the tank this weekend. Let’s just hope he stays away from any trees! With the possibility of scattered showers coming through the area on Friday and Saturday comes the possibility of muddy, motocross mayhem. Unadilla is a track where finding the correct bike setup is already notoriously difficult, and when it rains, getting it right can be like finding a needle jet (it’s a carburetor part, look it up, kids) in a haystack. Slick and shiny dirt, a surplus of finger-busting rocks and trademark obstacles like The Wall and Gravity Cavity all conspire against the racers of the Lucas Oil Pro Motocross Championship at Unadilla. The varying conditions also make it a tough track to practice for. Teams that are able to nail tire and suspension setup will excel, while riders who don’t will be looking forward to Steel City before the first motos are over. Due to sustaining a broken bone in his hand shortly before the beginning of the season, Red Bull KTM’s Marvin Musquin wasn’t on the short list of competitors who were likely find themselves battling for a win on any given weekend. But now that he’s had some time to heal up, Musquin’s results have been improving late in the season. He finished fourth overall after leading more than half of the first moto at Washougal and he took another fourth overall at Southwick by way of 2-5 moto scores. Look for the Frenchman to keep building on his solid results tomorrow at Unadilla. Barcia needs a big weekend in front of the home town fans to keep his championship hopes alive. Rookies at GEICO Powersports Honda looking to make waves in their professional debuts have big boots to fill. Josh Grant turned heads in his 2004 debut at Hangtown when he ripped the holeshot and proceeded to build a massive lead before stalling. Trey Canard won the first three supercross races of his career in 2008, and even went on to win the title that year. Barcia led a ton of laps at his debut at Glen Helen in '09. Eli Tomac won the very first race of his professional career when he went 3-1 at Hangtown in 2010. At Southwick, rookie Zach Bell kept the tradition of notable GEICO debuts going by taking the holeshot in the first moto, opening up a large lead and hanging onto it for five laps before getting passed by Tomac. Bell’s day ended shortly thereafter when he crashed hard, but he’ll have another chance at Unadilla to show us just how well he can do if he can keep it on two wheels. After only racing a handful of races this year due to injuries suffered at the Oakland Supercross and the Hangtown Motocross Classic, Tyla Rattray officialy broke through for the first 450 moto win of his career last week at Southwick. Granted, he had a little help from Ryan Dungey, who crashed, knocked his gas cap off and was later forced to pit for fuel, but a win is a win, and in this case, it’s a fantastic, confidence-boosting highlight in what has otherwise been a dismal year for the South African. Next up is Unadilla, a fast, wide-open and hilly track that is rich in natural terrain, not completely unlike the European tracks that the 2008 MX2 World Champ used to race on before coming to America. 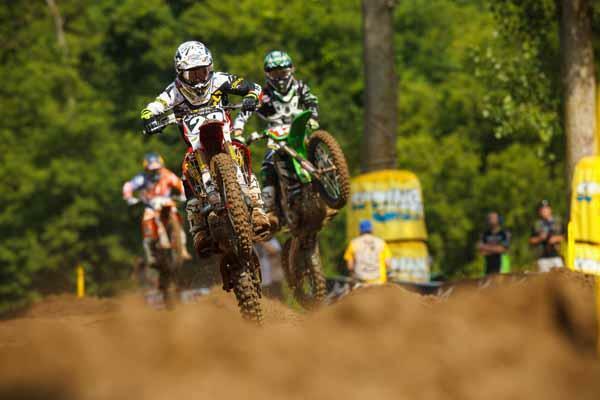 Look for Rattray to keep the ball rolling this weekend at Unadilla. Initial reports have Yoshimura Suzuki's James Stewart making his return to racing at Unadilla after missing the last three rounds with a wrist/hand injury. Since Stewart went down at Thunder Valley Ryan Dungey has been on a tear—winning seven straight overalls. Will Stewart, the only other rider to win an overall in the 450 Class this year, be able to put the brakes on Dungey’s winning streak? 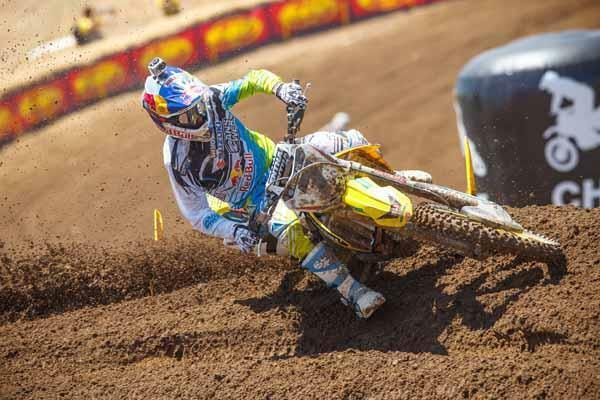 James Stewart makes his return to racing at Unadilla. One week ago, Monster Energy Kawasaki’s Jake Weimer trailed Mike Alessi by twenty-three points and was still clinging to hopes of taking over the runner-up position. But after his worst performance of the year at Southwick—due in large part to a number of crashes—Weimer is now faced with having to fight off a charging Andrew Short for third in points (Short trails Weimer by seventeen points). Will Weimer hold serve at Unadilla or will Short continue to cut into Weimer’s lead? Trying to hold his emotions in check, Honda Muscle Milk Tommy Hahn looked directly into the camera after his third place finish at Southwick and firmly said, “This is for the person that said my career was over.” It’s been a long road for Hahn since winning his first, and only, National at Steel City in 2009. A career that has seen Hahn listed on the injury report more often than the results sheet. Since returning from a broken finger at Thunder Valley Hahn has been impressive. But after nearly pulling off an overall podium at Southwick—a second moto crash would derail his chances—Hahn was injured in a practice crash this week and will now miss the rest of the season. Yet another setback in a injury stricken career. Jake Weimer looks to rebound at Unadilla. Star Vaill Rockstar Yamaha’s Nico Izzi was scheduled to make his return from a back injury last weekend at Southwick. But as newly appointed team manager Ryan Morais explained in a recent interview, Izzi had travel problems and was unable to get to Southwick in time. Izzi will be back on the line this weekend at Unadilla, hoping to recapture his early season form. After capturing the 2011 AMA Horizon Award GEICO Honda’s Justin Bogle made a splash in his pro debut at Unadilla one year ago. The bright eyed rookie, with an infectious smile, provided GEICO Honda with yet another weapon in their arsenal after a fifth overall. But Bogle’s first full season in the pro ranks has been hampered by a knee injury—which keep him on the sidelines for five rounds early in the season. Since his return, Bogle has yet to find his place in a 250 Class loaded with talent. Will Bogle be able to find his form this weekend at the place where it all began?